Dr. Danielle Nahas, is a licensed psychologist who specializes in psychoeducational assessments and is completing her post-doctoral training in neuropsychology. She treats and evaluates individuals with developmental, learning, occupational and/or behavioral challenges at Achieve Concierge. Dr. Nahas works with clients experiencing a variety of challenges including self-esteem issues, interpersonal difficulties, obsessions, compulsions, tics, anxiety, depression, poor self-regulation, learning and attention difficulties. 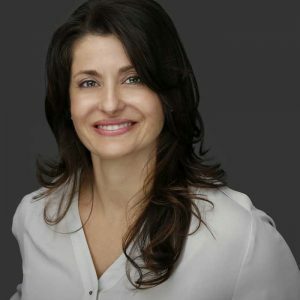 Dr. Nahas integrates the most appropriate concepts from several therapeutic perspectives and tailors her approach to each unique client and family. Her preferred theoretical perspective is cognitive-behavioral, and she utilizes neurofeedback, solution focused, family systems and applied behavior analytic techniques, as appropriate and indicated. Dr. Nahas views therapy as a partnership, and works with her clients to develop a shared understanding of the nature of the challenges they are experiencing, the goals they have for their lives and the process by which treatment can help them obtain their goals. As a psychologist, she listens, teaches and encourages her clients, while helping them understand the relationships between their thoughts, feelings and behaviors, and the effect these have on behavior patterns, actions and their environment. Dr. Nahas is approachable, genuine and empathic, and she provides an emotionally safe and respectful environment where clients and their families feel free to express their concerns, explore their thoughts and behaviors, discover personal strengths, and build confidence in themselves and their capacity to address the challenges in their lives. Dr. Nahas is fluent in Portuguese and Spanish as well as English.